* Book Official Arsenal Tickets Now! * Arsenal Tickets Have High Demand, Don't Miss The Opportunity. * Arsenal Tickets Are 100% Guaranteed. Arsenal FC, known as "Arsenal" for short, are based in Islington, are one of the most celebrated clubs in English football and rivals of Tottenham Hotspur, also based in North London. The team was originally formed in 1886 as "Dial Square" by workers at the Royal Arsenal in Woolwich, a suburb in Greater London. Shortly afterwards they were renamed "Royal Arsenal" and later "Woolwich Arsenal". They first became members of the Football League in 1893. After encountering financial hardships and switching several owners, the club began achieving great success and winning championships in the 1920s and 1930s. After winning several titles, including the 1936 FA Cup, the retirement of key players and the chaos caused by WWII brought the club's activity to a halt. After the war the team started being successful again, reaching a peak when it won its first League and FA Cup double in 1970-1971. The 1980s and 1990s were a tumultuous time for the club, as it won several titles but also faced several scandals and disputes on the part of its managers. The late 1990s and the first decade of the 2000s saw the club reaching great success both in the UK and Europe, largely owing to the appointment of Arsène Wenger as manager. Wenger introduced a new training regime, new tactics and several foreign players who joined the team, which resulted in the team going from strength to strength. However, in 2018, the club said goodbye to the long-term manager, Arsène Wenger, after a spell of poor results. He was the longest-serving and most successful in the club's history and holds the record for the most Premier League matches managed after a 22-year spell (1996 to 2019). 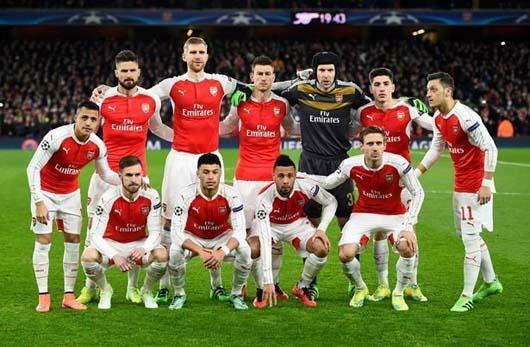 What is Arsenal's Most Successful Period? Most notably, the team has won doubles in 1997-98 and 2001-02, when they won the League Cup and the FA Cup in the same season. How to Buy Arsenal Tickets on Ticketgum? Choose an Arsenal game from the upcoming events shown above. Choose your delivery address and write the address information. Read the terms and conditions and check the "I agree" box. Choose your payment method, and then enter your details.